This week over at Anglotees.com we have two brand new Christmas designs and a classic reprint. First up is A Very London Christmas, a tribute to London at Christmas time. 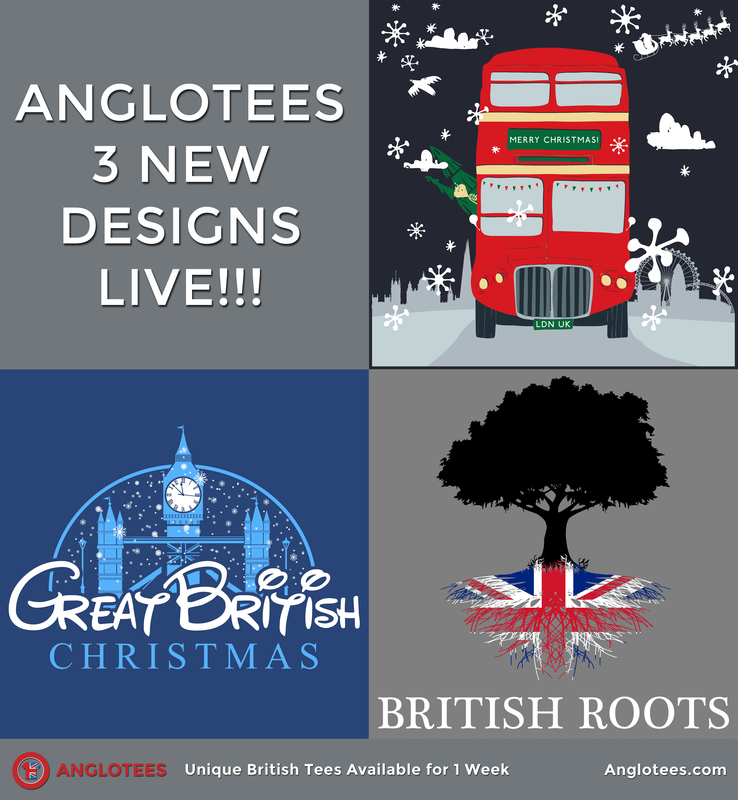 Next up is a new design from Kevin Scharr dedicated to the Great British Christmas. Finally we’ve brought back British Roots for a limited reprint run in time for Christmas orders.